CASI Software is a leading provider of electronic information delivery solutions for the IBM z/OS platform. CASI Software products leverage existing mainframe assets, while exploiting the efficiencies and benefits of IP technologies, to provide customers a higher ROI on their System z investment. Modernize, secure and deliver mainframe report content with JES2Mail/JES2FTP. Transform mainframe JES and other print content into PDF, XML, HTML, and spreadsheet-ready formats; encrypt and secure the content; and deliver the results via email, FTP or RSS feeds. Native CICS PDF creation and delivery. Dynamically create secure PDF documents from any CICS application. Create rich, real-time PDF documents containing overlays, watermarks, barcodes, images, annotations, bookmarks and more. Publish z/OS report content using RSS Web Feeds. 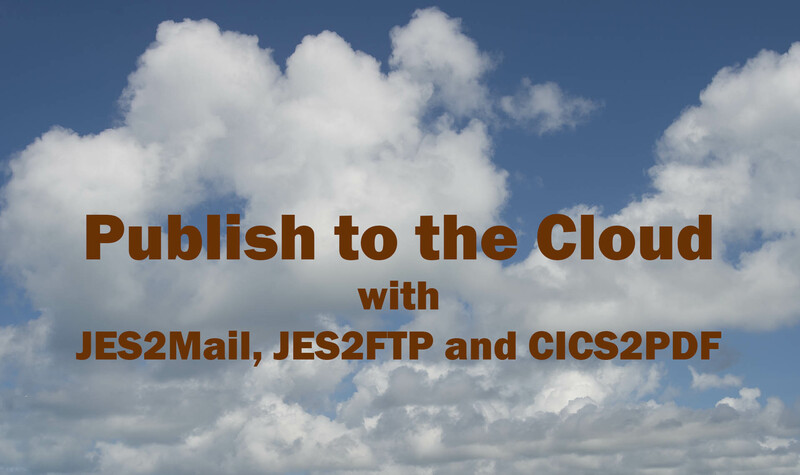 Combine the powerful JES2FTP technology with RSS extensions to provide a standards-based method to publish print content "to the cloud". Initiate z/OS application processing via email. Initiate z/OS application updating and processing via email messages and/or attachments. Eliminate open FTP ports, simplify TSO account management, and better utilize scarce system programming resources. See how JES2RSS publishes report content to a Web Feed server.